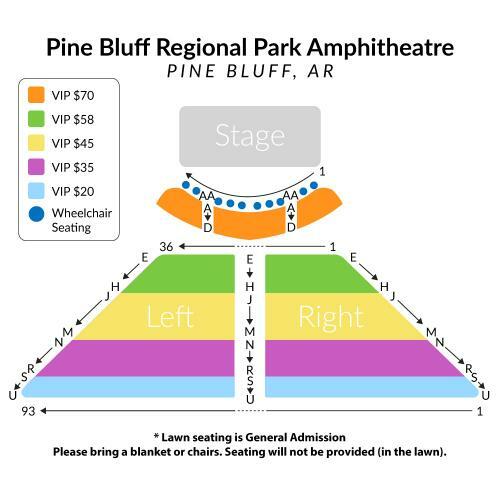 General Admission seats are in the lawn and you will need to bring blankets or chairs. This is an Outdoor Event. The event is Rain or Shine - No Refunds will be Given due to Inclement Weather. 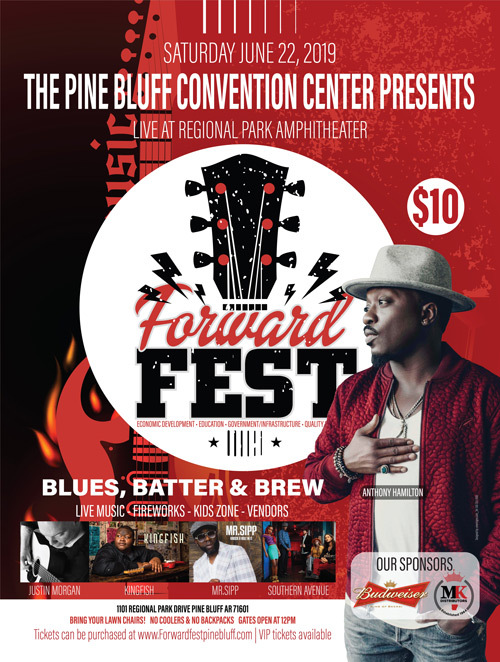 In case of extreme weather the Pine Bluff Convention Center will be the alternate venue. Parking will be $10 cash at the event. VIP Reserved Seating VIP is Reserved seating. A seat is provided. General Admission Lawn General Admission seats are in the lawn and you will need to bring blankets or chairs.